Welcome to The Piglet! Catch up on the full list of books and judges, score your own copies in the shop, and print out a bracket to follow along. Round 1 of The Piglet is brought to you by our friends at Squarespace. Today: Day 4 of Round 1 has cometh. 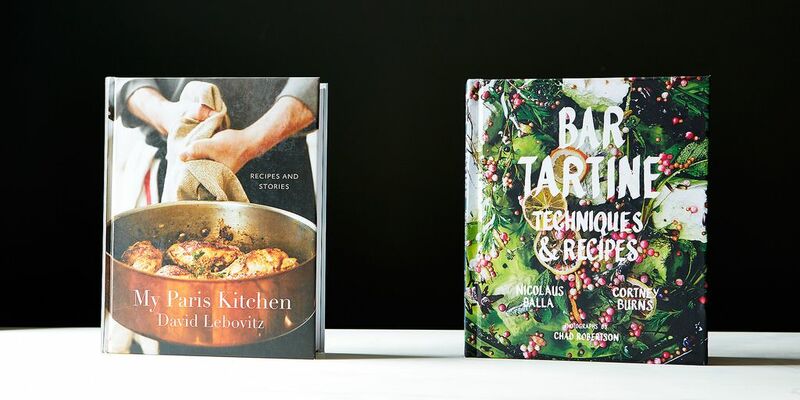 Head here for a refresher course on our cookbook tournament, and then read on for the decision. Be sure to comment there for a chance to get a copy of the winning book! Is this your first visit to The Piglet? Catch up on what's happened so far. If you're returning for day 4, read on as Serious Eats' J. Kenji López-Alt judges Bar Tartine: Techniques & Recipes vs. My Paris Kitchen. Be sure to let us know what you think -- one lucky commenter will have a chance to win a copy of the prevailing book. Cook the books: The recipes we chose to feature from today's Piglet contenders take a bit of patience, but the results are well worth the wait: Make the Pickled Herring with Sour Cream and Onion from Bar Tartine and Chicken Lady Chicken (or Poulet Crapaudine Façon) from My Paris Kitchen. Brought to you by Squarespace.